270 pages | 24 B/W Illus. Carolene Ayaka has a doctorate in social policy from the University of Chichester. She did her MA in Gender studies and diversity at the University of Bradford. Her main area of interest is identity; how it is theorised and presented as well as its negotiations and diverseness (thus far having mainly focused on African female identity). Her interest in comics stems from her enjoyment of exploring how they are used to represent and translate people’s everyday lives and imagined lives. Ian Hague is the director of Comics Forum (http://comicsforum.org), an academic organization that promotes the study of comics and related forms. 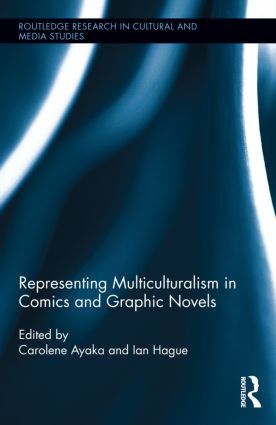 He is the author of Comics and the Senses: A Multisensory Approach to Comics and Graphic Novels (Routledge 2014) as well as various articles and reviews, and he holds a PhD from the University of Chichester. He can be found online at www.ianhague.com and on Twitter@drianhague.